Today, 3D printing allows for user-controlled creation of nearly anything one can imagine. Tomorrow, perhaps the creation won’t be driven by the user but by the material itself. 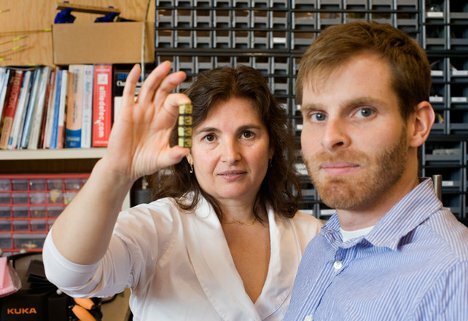 That’s the focus of a project from MIT professor Daniela Rus and student Kyle Gilpin, who are developing something they call “smart sand.” The “sand” is a self-assembling building material that could be used for a stunning array of applications, from medical to household to construction and beyond. The current prototype is much, much larger than the team envisions the finished product being. If the eventual individual objects will be “sand,” then the size of the current prototype objects is closer to pebbles. At 10mm across, each module contains a processor and magnets that allow it to stick to other modules. 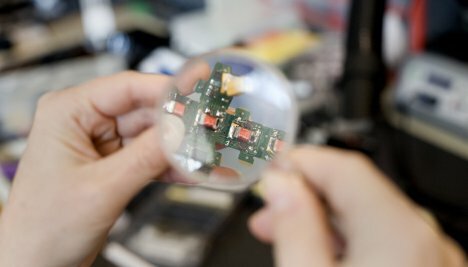 In order to shrink the modules significantly, the researchers will need to find a different way to connect the modules – one that can work on a sand-size level. 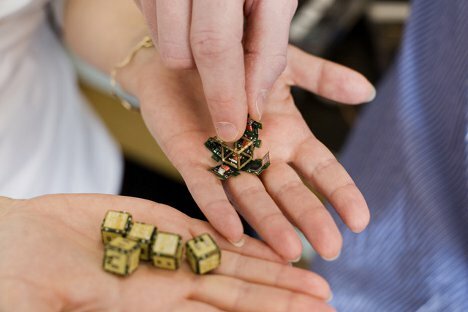 At a smaller size, the smart sand modules will surround an object and “learn” its dimensions, then disassemble and reassemble themselves into an exact replica, or a replica at a different scale. They could be used as smart scaffolding for helping bones and organs regrow, then disassemble and exit the body when no longer needed. Of course, any practical applications of this technology are a good decade in the future…but that gives scientists that much longer to come up with awesome ways to use smart sand.